The Season of monsoon is probably the best season of them all. It's the other guys that needs to look into the good side of this drenchy wet season. The Season of monsoon is probably the best season of them all. Some might agree with this right away and some will think otherwise. Well everyone is entitled to have their own opinion and it is completely okay with some of you loathing the season. This article is for you, the haters. Lovers of monsoon will love it no matter what. It's the other guys that needs to look into the good side of this drenchy wet season. Yup no more living scared. No more facing the perilous heat that can damage your skin and affect your health. No more sweltering days. It all ends here. The amount of people who hate the smell of first rain of monsoon is equal the amount of poeple having smallpox virus. They just don’t exist. Everyone loves this and some companies even made perfumes out of it. Patrick is not our Bhajiye but you know the jist. The divine combo of tea and bhajiye is truly one of the most iconic things about this season. Lovers of both eagerly look forward to the arrival of this season. Love is in the air and everyone can feel it. Monsoon has been depicted in movies as romantic and people agree with it too. It just makes us miss our partners that much more if we aren't around them. In case of the lucky one’s they get to enjoy it with their better half. Look at spider man go, He is dancing and screaming at the top of his voice. He is indeed having a lot of fun in the rain. When it pours, it's not the time to find cover it's time to set yourself loose in the rain and do a dance with a neighbor kid or just by yourself. Either way it’s always fun. How is that you may be wondering? Well, monsoon has helped everyone that needs a silly reason to get an off. If you are late for school, date or work, blame it on the damn rain. She will take the blame. Only a true friend can do that for us. Monsoon season is certainly is that friend. 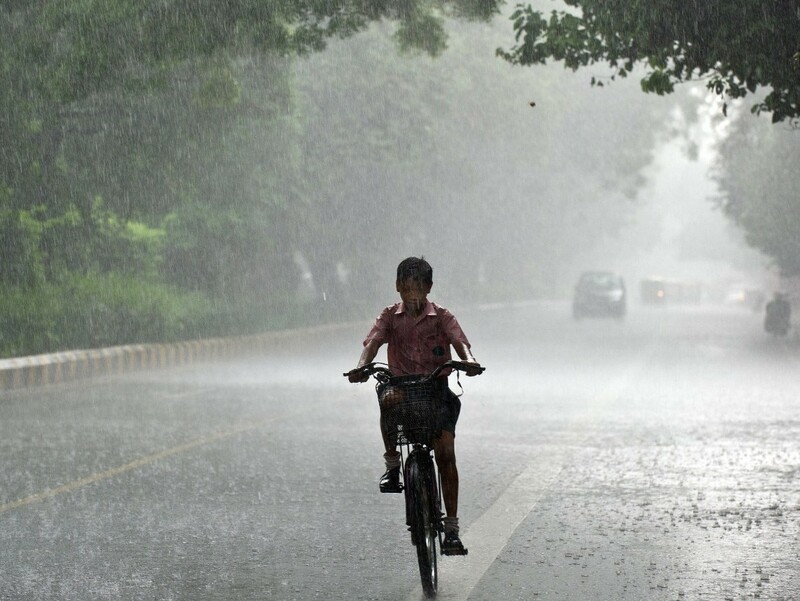 Bike rides in the dim light, with rain pouring on us all is something riders love and cherish. They will take out their biking gears for an epic ride and in case of couples, it's the time for some Bhutta and long romantic drives. Who doesn't love rainbows. Bet you to find a person that will say otherwise. Bright, vivid, colorful and most beautiful thing in the sky. Rainbows are the major attraction in this season. As they appear more frequently than other season. Were we able to change your thoughts about Monsoon? Is there something you would like to add to the list? Let us know in the comments below!